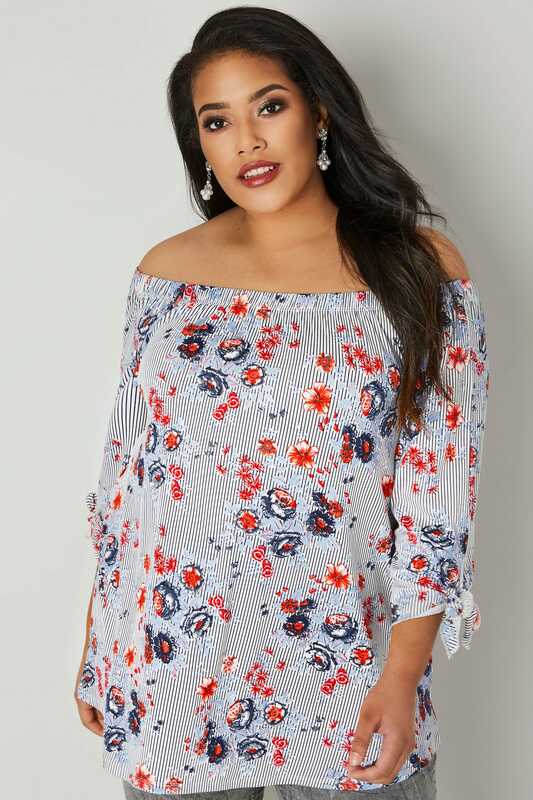 Front length from (approx): 63cm/24.5"
Back length from (approx): 58cm/23"
In a comfortable jersey fabric, this stylish top features a Bardot neckline and 3/4 length tie sleeves. 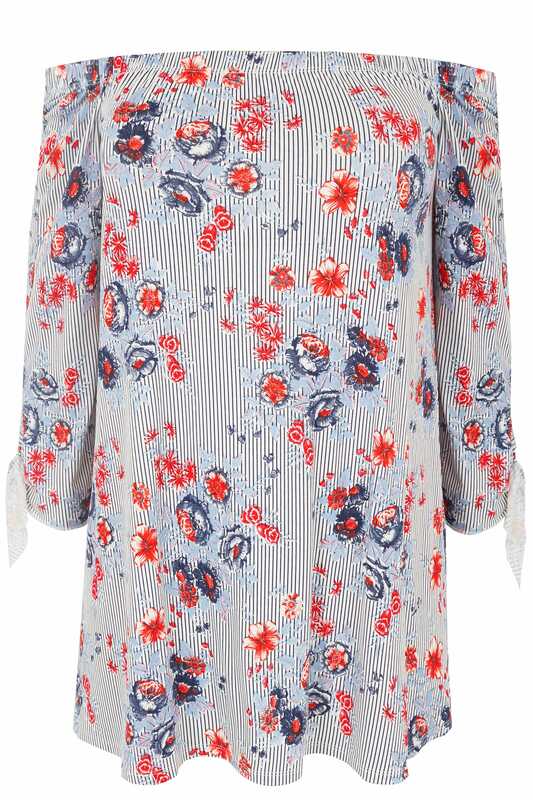 Ideal for adding a touch of glam to your everyday look, team with skinny jeans and mules to complete the outfit. 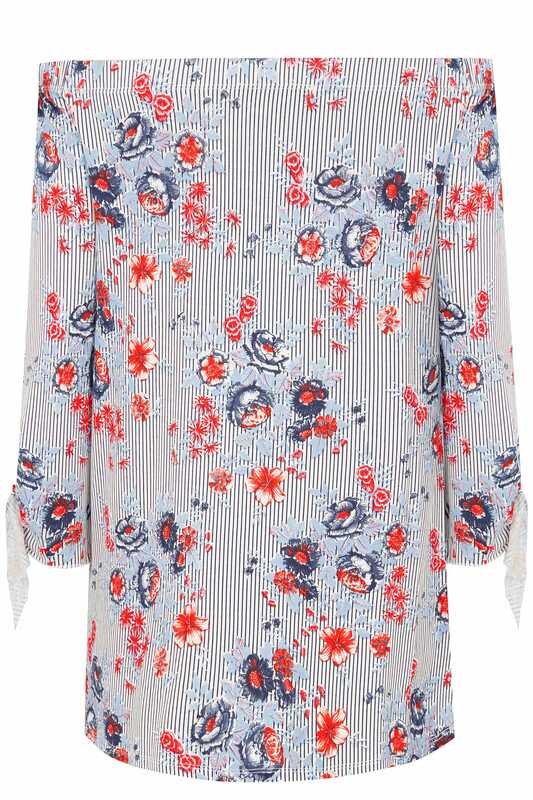 We love the contrasting stripe and floral print.